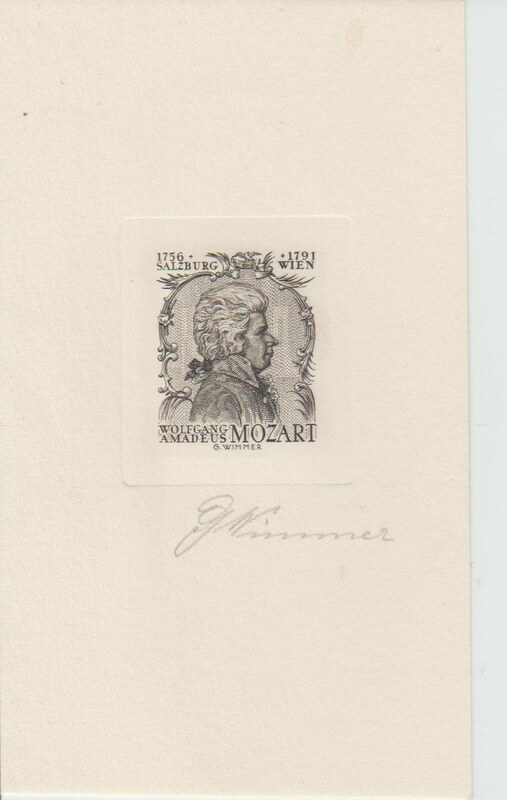 Here is a signed proof for a Mozart Cinderella. It is signed by the designer G Wimmer. QI Fact: There is much confusion over Mozart's full name. He was formally baptised, in Latinised form (the rendering of non-Latin names in Latin style), Johannes Chrysostomus Wolfgangus Theophilus. From this array of names, Mozart, mainly, chose to use Wolfgang and the Latin equivalent of Theophilus (a word that comes from the Greek and means Love of God), Amadeus. 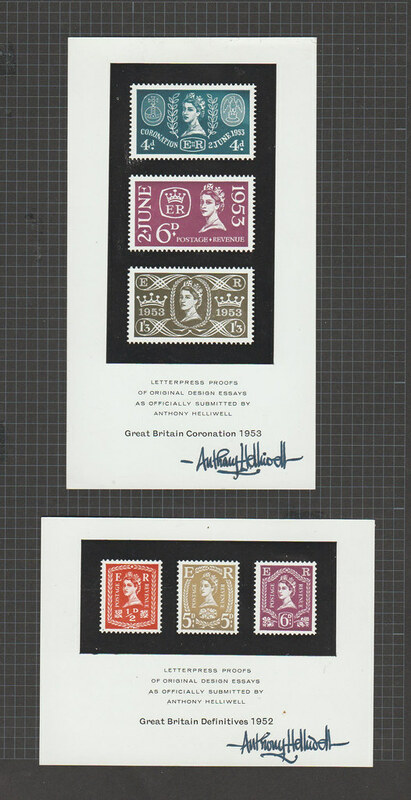 These 2 essays show designs for British postage stamps for the 1953 Coronation and definitives for 1952 and are both by, and signed by, Anthony Helliwell. 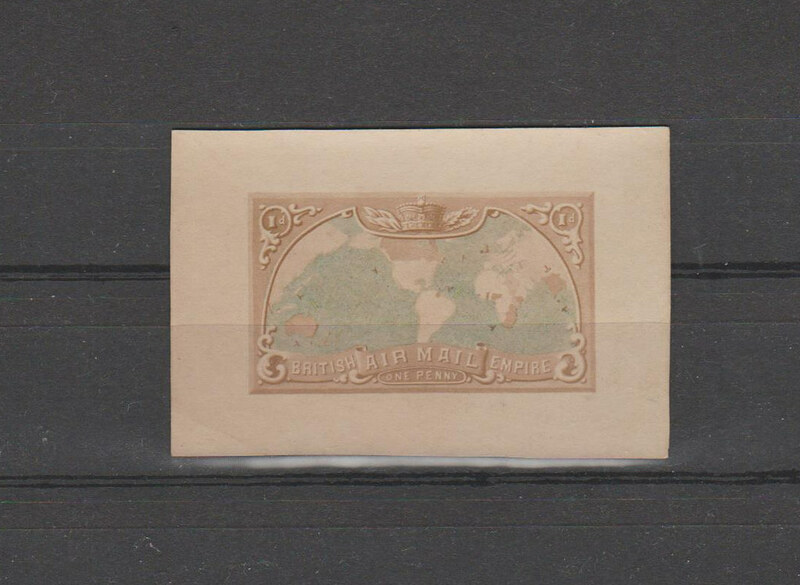 This is a British Empire Air Mail essay one penny value. It is signed on the back but I can't read the signature. It appears to have some age. 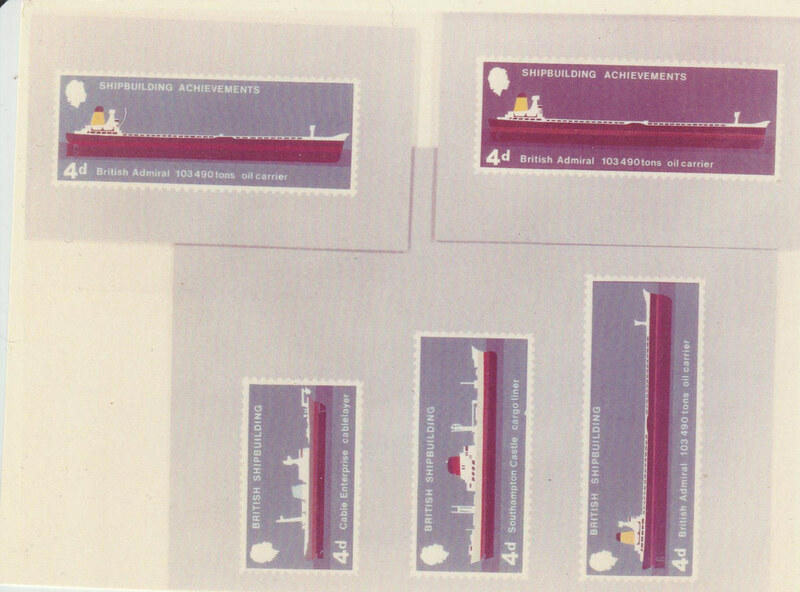 This card, mocked up from 3 other card essays, shows Andrew Restall's design for the British Ships stamps for 1969. It was used to test a red varnish. Ultimately, David Gentleman's designs were used for the stamp issue. 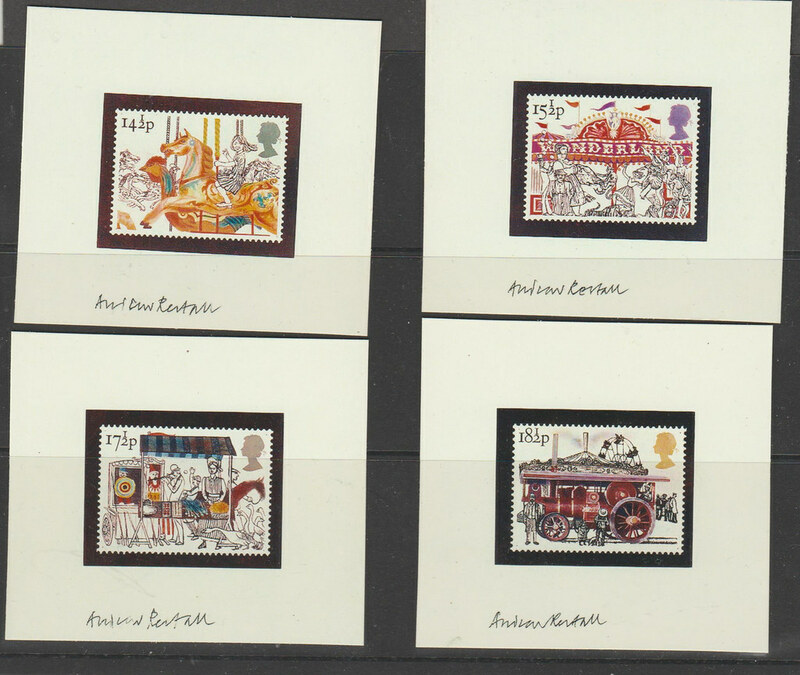 Here is a set of proofs from Andrew Restall for the 1983 British Fairs stamps. Although Restall was the successful designer for this issue, his final designs were very different to these. I think I may have some examples of the final designs, if I can find them I will post them here. His signature reminds me of so many of my art school tutor's handwriting, there is something about it that is very 1980s, compared to the calligraphic hand of Anthony Halliwell, and the roundhand script of the Mozart proof a couple of posts above it. Were these from Stampex? No, I didn't get them from Stampex. Looking at some older proofs at Stampex, they seemed to start at £100 plus. These were much cheaper on ebay from someone who had acquired a nice lot of his artwork.